When you become an expat and move outside of the United States for your new job in another country, you will have many questions about your expatriate status. No matter how much research you did as you prepared to move to Dubai, Shanghai, London, Paris, Tel Aviv or Sydney, you’ll still not be totally prepared for this new phase in your personal and professional life. The staff of Expatriate Tax Returns considers ourselves to be educators. We see our role to not only prepare expat tax returns for our clients, but to also educate our clients about what it means to be an American expatriate. There are many benefits, but also several responsibilities for American citizens who are living and working abroad. It’s a wonderful experience to be an expat, but there are certain things you must remember to do each year. Filing your expatriate tax return is one of the key tasks each expat must remember and ExpatriateTaxReturns.com is here to ensure your tax return filing is exactly as it must be. Our tax experts don’t just prepare your return; we educate you to understand your tax return as it’s different than the annual tax returns you filed while living in the U.S. 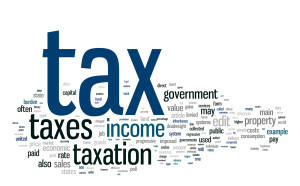 Call ExpatriateTaxReturns.com today for an efficient, professional tax return experience. As a bonus, we’ll educate you on the ins and outs of being an American expat. We are available at (877) ETAX-123 or (877)-382-9123. 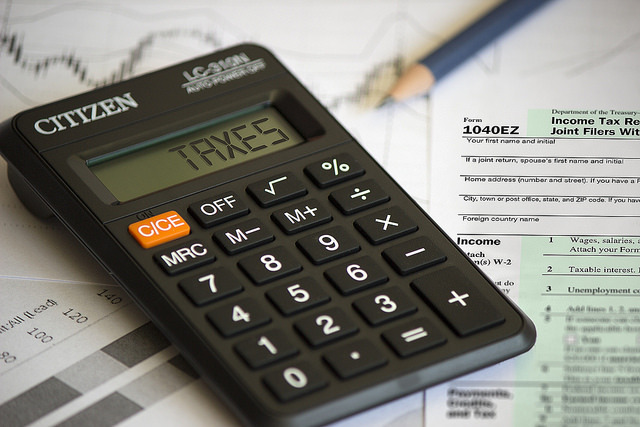 Living and working overseas as an American expat comes with a unique tax filing position. It can often be complicated and full of hassle. Most tax advisers and tax return preparers are not experienced in the specific nature of expatriate tax returns. The expatriate tax professionals at Expatriate Tax Returns make up a stellar team of CPAs who have decades of experience in expat tax preparation. We’ve compiled some noteworthy updates that expats will be interested in for the coming year. The past several years were relatively quiet in terms of changes to U.S. tax law in general and expatriate tax law in particular. With a new Administration and a new Congress, there are likely to be a number of substantial tax changes that expats should be aware of as we continue on in this new year. In past years, the Foreign Bank and Financial Accounts (FBAR) was due by June 30th and extensions were not allowed. For tax year 2016 and forward, however, the FBAR due date is April 15th. There will also be a maximum extension for a 6-month period ending on October 15th. That should be a good development for American expats as it syncs the FBAR due date with the tax return due date. Plus it provides expatriates more time to prepare their information and file both items at the same time. If you live outside the U.S. on April 17, 2017, you are entitled to an automatic extension (without the filing of an extension form) until June 15. However, if you owe tax, the extension applies only to the tax return filing and not the tax payment. Therefore, you must still submit your payment by April 17 to avoid paying interest on your late payment (late payment penalties do not commence until June 15th). Expats who need to file an extension (Form 2350) because they need additional time to meet either the bona fide residence test or the physical presence test to qualify for the foreign earned income exclusion and/or the foreign housing exclusion or deduction, such extension is due by April 17th (not June 15th), even if they are outside the United States at that time. For tax year 2016, the maximum foreign earned income exclusion is up to $101,300 per qualifying person ($102,100 for tax year 2017). The maximum foreign housing exclusion for 2016 is $14,182. The standard deduction amounts are: for joint filers and surviving spouses, $12,600 for 2016 ($12,700 for 2017); for heads of household, $9,300 for 2016 ($9,350 for 2017); for singles, $6,300 for 2016 ($6,350 for 2017); and for marrieds filing separately, $6,300 for 2016 ($6,350 for 2017). For 2016 and 2017, the personal exemption amount is $4,050. Further, under a new law, timing limitations were added for claiming the child tax credit by providing that a taxpayer identification number (an ITIN or SSN) can be used to claim the credit only if it was issued (not applied for) on or before the due date of the return. Finally, the past year was an important one in the U.S. government’s implementation of FATCA. Digital information exchanges began between the U.S. and its partner countries, and the IRS, in turn, has received more and more foreign account information. Many of the FATCA partner countries and their foreign financial institutions (e.g., banks) have made substantial efforts to become FATCA compliant in order to avoid potentially devastating penalties for foreign institutions with significant portfolios of U.S. investments. In this regard, the U.S. government gave a December 31 deadline for countries to implement FATCA locally or lose FATCA-compliant status. It remains to be seen what tax changes the Trump Administration will make and we will keep you posted. Right now, it’s a wait and see attitude for these changes to the tax code in general and the expatriate tax code in particular. Remember, due to April 15 being on a weekend, the due date for the 2016 tax return has been moved to April 17, 2017. Due to October 15th being on a weekend, the extension due date for the 2016 tax return (with the filing of an extension form) is moved to October 16, 2017. 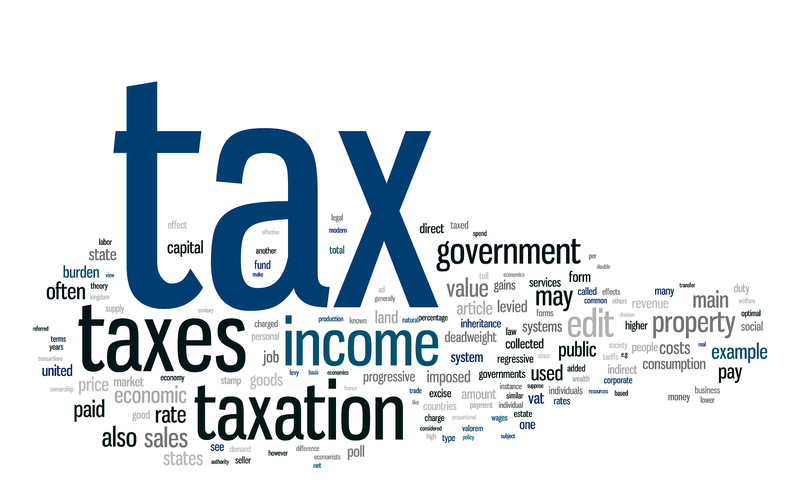 Please don’t hesitate to call on us at ExpatriateTaxReturns.com to take the hassle out of your expat tax preparations. Our experience is your best friend! Call us today at 877-382-9123. It is important for all United States citizens living and working abroad to understand the American Citizens Abroad’s Same Country Exemption. This will have an important effect on expats and specifically on Expatriate Tax Returns. The National Taxpayer Advocate has recently come out in full support of regulatory changes to both FBAR (Foreign Bank Account Report) and FATCA (Foreign Account Tax Compliance Act). This would make it easier for American expatriates living overseas to report tax information. At Expatriate Tax Returns, we believe that it is already a very confusing and onerous process for American expats to file their tax returns and we’re in favor of easing this process. All expats are encouraged to help the American Citizens Abroad (ACA) gather the documentation it needs to go back to the table for meetings with the U.S. Treasury. If you are an American resident overseas and have had a foreign financial institution close one or several of your financial accounts or have been denied banking services, it is important that you send your testimony to the ACA via email to info@americansabroad.org. If any foreign financial institution is denying you services or the ability to open a financial account due to FATCA, U.S. tax legislation or because of the fact that you are an American citizen, it is important that you let them know so you can work with ACA and the government to get these restrictions overturned. American Citizens Abroad requests that you notify them before the deadline on May 15th 2015. Together, we can work to make it easier and less stressful for American citizens to live and work abroad. At Expatriate Tax Returns, we put our expat clients first and want them to have a worry-free experience when it comes to expat taxes. Call us today toll-free on our Support Hotline: (877)-ETAX-123 or (877)-382-9123. The FBAR: No News is Good News! The FBAR…No News is Good News! If you have more than $10,000 USD in foreign banks, you must file a Foreign Bank Account Report (FBAR), Form number TD F 90-22.1, reporting the financial institution(s) name, address, account number and highest balance of the year. This informational tax form is filed with the United States Department of Treasury every year by the final June 30 due date. No extensions are allowed. Starting July 1, 2013 the United States Treasury now requires all FBARs to be filed through their own BSA ELECTRONIC EFILING SYSTEM for all current and previous years. The system requires Adobe Reader 10.0 or above, a fairly complicated registration process, and electronic form preparation/submission. An easy process, it is not. If you need an FBAR and wish to file your own, you may go to www.irs.gov for general directions, or Google “bsa efiling system” and you will find all the information you need to make this happen. 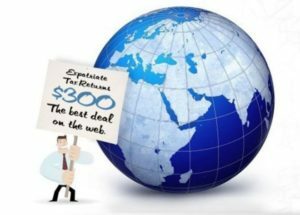 Or, if you quickly realize that this is more than you bargained for, you can contact us at www.expatriatetaxreturns.com for assistance…we are happy to file them for you @ a flat fee of $100 per year. In 2009, Swiss banks reported earnings to all American Citizens with offshore accounts. As a result, UBS paid $780 million to the Internal Revenue Service. Since then, more international banks have provided income information about American Citizens and Green Card Holders with foreign accounts to the IRS than ever before. If you have numerous years of unfiled U.S. Expat taxes and/or have foreign accounts that had a balance of over $10K that you have not reported, you will want to catch up and file! The IRS and Department of Justice have been working hard at finding US citizens who have ignored their filing responsibilities. As a result, they have released a number of amnesty programs that are available for you if you are not in compliance with the IRS or FATCA regulations. At this time, coming forward can help you since the amnesty programs offer lighter consequences than if you get caught by the IRS. All foreign financial accounts with a $10,000 USD balance at any time during the year should be reported on Form TD F 90-22.1. The statute of limitations on the filing of this FBAR (Federal Bank Account Report) is six years, whether or not the account is still open. All U.S. Citizens and Green Card Holders must report all of their worldwide income to the IRS. There are many tax benefits and deductions available to American expats so that you are not subject to double taxation. In order to receive these benefits, you must file your tax return! All foreign financial accounts with a $10,000 USD balance at any time during the year should be reported on Form TD F 90-22.1. The statute of limitations on the filing of this FBAR (Federal Bank Account Report) is six years, whether or not the account is still open. The FBAR is due June 30. New for 2011, is Form 8938: Statement of Foreign Financial Assets. Use this form if you have offshore assets valued at $200,000 or more in total at the end of the year or $300,000 for single filers. Joint filers use this form if the balance at the end of the year is $400,000 or $600,000 at any point in the year. Voluntary disclosure programs are available that enable you to catch up with missed filings and unpaid taxes with limited penalties. If you are in that situation, give us a call to discuss your options. Make sure you take advantage of every program there is for American Expats that can help you with your taxes. If you need help with your next move, do not be afraid to contact us, we are here to get you on the right track! Did you realize that all US citizens must report all foreign bank account activity to the IRS? FOREIGN BANK ACCOUNT(S) UNDER $10,000 …check the box on Form 1040, Schedule B. PLUS ALL OTHER ASSETS OF $200,000+ …. check the box on Form 1040, Schedule B AND file a Foreign Bank Account Report (FBAR) and possibly a Form 1040, #8938 (see below for rules). Beginning in 2011, the IRS has instituted a new form for the purpose of reporting all foreign financial assets including, but not limited to, bank accounts, securities, investments, and real estate located in a foreign country. This requirement is for all US citizens…onshore and offshore…where ever you may be! The Form 8938 is filed with your US tax return so the same due dates apply.